Higher Education has certainly been in the news lately. There is a clear desire that it be more affordable. This would certainly help. But the affordability of college is only half the story. There is an equally significant issue the general public has yet to grasp, which is that many colleges today still reside in the 20th century when it comes to helping students learn. For this blog, I’m here to elaborate on this second half of the higher education problem, which is rooted in the continued use of teaching methods poorly matched to how we humans actually learn. So, I begin with a brief discussion on learning, which you’ll find blatantly obvious, yet widely unrecognized. You can read more about these ideas on learning in my earlier blogs. So I present them here as a refresher. Ready? There are two steps to learning. The first step is an input process where the student passively absorbs information. First step resources include textbooks, lectures, and videos. The second step is an output process where students try to articulate what they think they learned from the first step. Second step activities include group discussions, homework, and even exams when implemented appropriately. Both steps 1 and 2 are vital for learning to be durable. But there’s a problem: Step 1 can lead to a “warm fuzzy of understanding”. Carefully crafted textbook paragraphs and elegant lectures are almost a disservice. After reading or listening to these slick presentations, the student is lulled into a false sense of having learned the material. As a result, Step 2 gets short changed as an “unnecessary bother”. If you want to be a good basketball player, you’ve got to do much more than watch from the sidelines. You’ve got to play. Watching the game is Step 1. Playing the game is Step 2. Whether it’s learning a sport or learning chemistry, it’s all the same. There are two steps to learning. Both steps are important, but the second step requires more effort—much more effort. No one, not even the “smart” student, gets through Step 2 easily. Imagine a coach demonstrating repeatedly exactly how to throw the ball, followed by: “Got that? Good. Now go home and practice.” That’s improper in both sports and academics. A major ill of higher education has been its continued emphasis on seeing students as blank slates upon which information should be written. The primary focus is on content delivery rather than helping students through the process of learning that content. For these toughest challenges, students remain on their own. But spend some time in these college classrooms and you’ll quickly see fault also lies with the students. Many students much prefer the straight lecture format. Interacting with fellow classmates can be rather uncomfortable. Articulating aloud what you think you understand is also rather uncomfortable. So much more comfortable it is to sit back and listen to a lecture. For many students, even a boring lecture is preferable to having to work with fellows students in a team-based environment. All instructors face these students on a regular basis. They face the pressure NOT to innovate. They face pressure to keep with the old “download” model. As the instructor, I am the keeper of information. You, as the student are here to absorb that information. 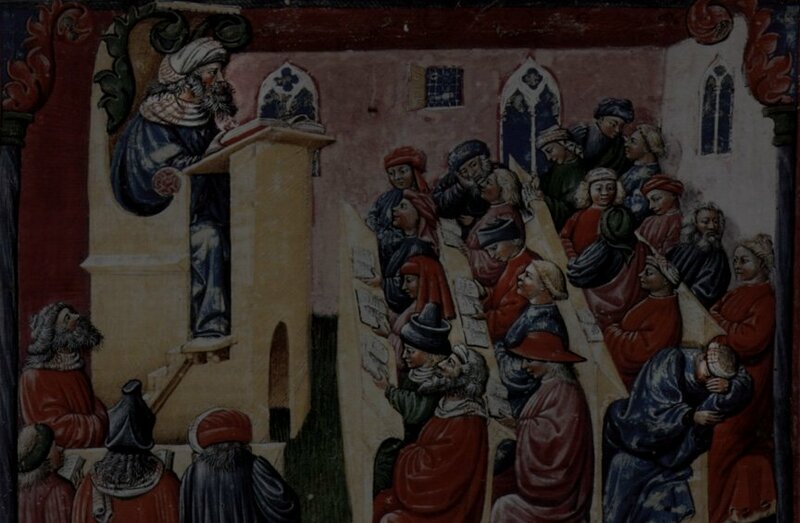 In this light, it makes total sense that the role of the instructor is to lecture. The role of the student is to listen and take notes. And every one is happy. End of story. In the age of smart phones, however, this download model is folly, especially given the great need for graduates with good thinking skills. Lectures are valuable. They truly are. They are a form of Step 1 learning. Zapping students with content is both welcomed and expected. In this age of easy-to-access video, however, lectures no longer need to occupy 100% of the class period. Time should also be allotted for Step 2 learning. Zap your students with questions too! Then put your students on the hot-seat allowing them to practice in real-time what they think they’ve learned within a social setting. Ideally, this happens with students grouped into small teams. Of course, the best way to learn is to teach. So get the mouths of every student moving. And as every quiet master instructor knows, the best way to teach is to listen. So walk among your students to coach them along as needed based upon what you hear. Controlled experiments, such as those conducted by Nobel Laureate Carl Wieman, reveal the active classroom model works quite well, improving learning and exam scores not just for a select few, but for all students. Bare in mind, this model is a natural return to the age-old practice of apprenticeship. We humans learn best by doing. No mystery there. No mystery either that we humans work best with a coach to guide and inspire us through the hurdles. We need resources that help instructors move toward this model. For step 1, textbooks have developed nicely over the years. There is still a great shortage, however, of high quality online lecture programs that complement the textbook in a cohesive curriculum. This has been a major hold up. . . and something we are working to address through our video-textbooks at Conceptual Academy. For step 2 class activities, professors need to leverage their expertise not just in content but in helping students learn that content. With a dose of creativity and a willingness to experiment and to collaborate with other like-minded instructors, there is much that can be done in class to keep the students actively engaged and held to task. Step 2 learning is never easy. But if the goal is to help students learn and, further, to help students learn how to learn, then a movement in this direction is imperative. Colleges pushing themselves in this direction will be the ones that thrive.